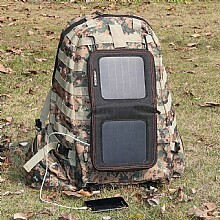 7 Watts Foldable Solar Panel Bag(ECE-629),,ECEEN Electronic limited. HIGHEST EFFICIENCY: Constructed of SUNPOWER® solar cells, up to 22% efficiency provides 1A output (MAX), easier and faster to replenish juice for your powerless gadgets. LIGHTEST WEIGHT & ULTRA COMPACT: Only the half weight of other normal 7W solar panels on the market - 0.26lb. 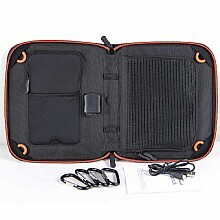 Folding size only 8.27*7.09*0.98inches for superior portability. UNIQUE VOLTAGE REGULATOR: Unique voltage regulator design to ensure stable voltage and current, protects your device while charging. Premium dual output charge your any gadgets at lightning speed - 1A(MAX). NEWEST & UNIQUE DESIGN: The foldable bag design with zipper around, there have a elastic fabric pocket inside, it can stock your cell phone or other's gadgets safety, and with a nice net pocket to stock cables, etc. 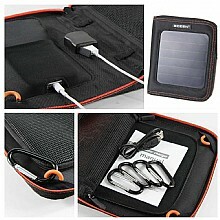 PACKAGE CONTENTS: ECEEN® 7W Solar bag, 4Pcs Carabiners, 1Pc Charging Cable, 1Pc User manual. 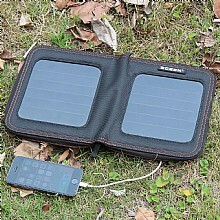 Unlike most other solar panels on the market, ECEEN® solar panel have three major breakthroughs. The efficiency of ECEEN® solar panel is up to 22%, while most of the similar products on the market is 16% or even lower. The foldable bag design with zipper pocket, there have a elastic fabric pockets inside, it can stock your cell phone or other's gadgets safety, and with a nice net pocket to stock cables, etc. The only minus of free sunlight is not stable, solar panel powered by unstable sunlight leads to unstable current and voltage, which will shorten your device's life or even damage it. ECEEN® solar panel's voltage regulator keeps your device getting stable voltage and current, perfectly protect it while charging. 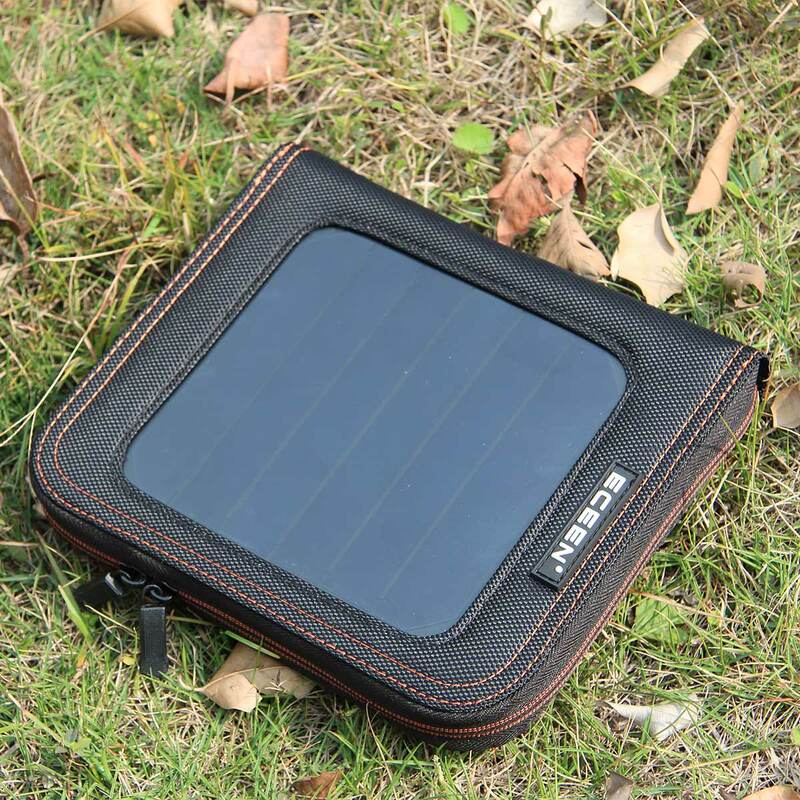 22% high solar efficiency provides upto 5V/1000mA output, once connected, limitless and free power keep powering up your gadgets. 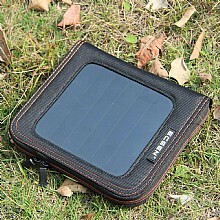 With folding size 8.27*7.09*0.98inches and unfolding size 8.27*14.57*0.98inches, ultra-compact and super portability. Ring-pulls design makes it convenient to attach on backpacks while on the go. 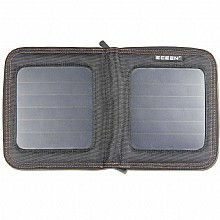 Unfold the ECEEN® solar panel under direct sunshine, connect your device to the USB port, then place the connected device in the pocket or keep it out of the sunshine to protect it.